18/09/15 -- Soycomplex: Beans closed at the lowest level in 6 years. Concerns about the Chinese economy remain. Shanghai stocks closed slightly higher on the day, but 3.2% lower for the week. A Chinese delegation are in the US next week, and are expected to buy several million tonnes of US soybeans in a showcase deal. That might provide the market with some support, but the outcome of 2015 US yields probably holds the key from here. Additionally South American growers will shortly begin planting what is expected to be another very large soybean area for their 2015/16 harvest. Safras e Mercado today estimated the 2015/16 Brazilian crop at 100.54 MMT, up from their July estimate of 99.8 MMT and more than 3.5 MMT above the USDA. Some other private estimates are higher than that. Soybeans are a much more attractive crop to grow in Brazil than full season corn at the moment. Argentine growers will be thinking the same thing, and who wants all those beans if Chinese demand starts to falter? Fund money added more than 6.5k contracts to their overall net short in beans in the week through to Tuesday night according to the latest Commitment of Traders report. They are now net short 25k lots. Stats Canada increased their forecast for the 2015 Canadian rapeseed crop by 1.1 MMT taking that up to 14.4 MMT, although that's still down 12.2% on a year ago. Egypt bought 25,000 MT of US soybean oil for 2015/16 shipment. Nov 15 Soybeans closed at $8.67 1/4, down 17 1/4 cents; Jan 16 Soybeans closed at $8.71 1/2, down 17 1/4 cents; Oct 15 Soybean Meal closed at $309.00, down $4.20; Oct 15 Soybean Oil closed at 26.05, down 62 points. For the week that puts nearby beans 7 cents lower, with meal down $1.90 and oil losing 60 points. Corn: The corn market closed around a couple of cents easier. Safras estimated the Brazilian 2015/16 corn crop at 88.6 MMT, far higher than the USDA's 79.0 MMT forecast. Stats Canada estimate this year's Canadian corn crop at 12.7 MMT, up 12.5% on a year ago. FranceAgriMer dropped corn good to very good ratings there by one point on a week ago to 55%, down 31 points compared to this time last year. They said that nationally the harvest is only 1% done so far. There are reports that China may cut state corn prices by as much as 10% in 2015/16, although that would still leave the price they pay at well above global levels. The Ukraine Ag Ministry said that the corn production there could be as low as 23 MMT this year, with the crop hit by early season dryness and heat. Similar conditions have cut this year's EU corn crop significantly too. Russia said that it's 2015 corn harvest is 18.2% done on 508.5 million ha producing a crop of 2.6 MMT to date. Yields there are averaging 5.06 MT/ha versus 5.02 MT/ha a year ago. Crude oil closed more than $2/barrel lower at little more than $45/barrel. Goldman Sachs think that prices could fall to $20/barrel yet, which would have bearish potential for both corn and beans. On the US weather front "strong showers developed yesterday in the Upper Midwest and have swept eastward into Illinois, Indiana and Michigan this morning. The Southwest monsoon circulation has strengthened, once again, promoting scattered strong showers. The 7 day forecast is wet for Midwest corn and soybeans. Temperatures are expected to continue unseasonably warm in the heartland in the upcoming week, though temperatures would moderate in the Eastern Midwest," said Martell Crop Projections. Fund money was reported to have added more than 22.5k lots to it's net long position in corn for the week through to Tuesday night and are now long nearly 70k lots. Dec 15 Corn closed at $3.77 1/4, down 2 1/2 cents; Mar 16 Corn closed at $3.88 1/2, down 2 1/2 cents. For the week Dec 15 corn was 9 3/4 cents lower. Wheat: The wheat market closed a bit higher on the day, but not much changed for the week. Egypt's GASC bough a mixture of Russian, Ukraine and French wheat. US wheat wasn't even offered. Stats Canada estimate the spring wheat crop there 400 TMT higher than previously at 18.4 MMT, although that's still down 13% on a year ago. Durum wheat production was called 300 TMT more than previously at 4.8 MMT, which is 7.7% lower than in 2014. Canadian barley production is pegged 1.5% down on last year at 7.0 MMT. Hungary said that it's 2015 wheat harvest was 5.28 MMT, and that yields there were the highest since 1991 at 5.14 MT/ha. There's trade talk of dryness being an issue in Russia and Ukraine with regards to plantings/germination of the winter wheat crop for the 2016 harvest. Russia's Ag Ministry said that winter grain plantings (mostly wheat) are 52.9% complete on 9 million ha (versus 9.3 million ha a year ago at this time). They also said that the 2015 Russian wheat harvest is 80.6% complete on 21.7 million ha producing a crop of 57.5 MMT to date. Average yields are said to be 8.9% lower than a year ago at 2.65 MT/ha. The Russian barley crop is 81.6% harvested at 16.6 MMT with yields down 5.8% at 2.29 MT/ha. The outcome of recent Russian proposals to alter the existing export tax on wheat are unknown as yet. Changes are expected but a removal of the tax completely is not. South Korea's KFA bought 25,000 MT of optional origin feed wheat for Feb shipment. South Korea's Daehan bought 51,000 MT of Australian wheat for Feb-March shipment. Fund money is reported to be sitting on a net short in Chicago wheat of almost 40k lots as of Tuesday night. Dec 15 CBOT Wheat closed at $4.86 3/4, up 5 1/4 cents; Dec 15 KCBT Wheat closed at $4.82 1/4, up 3 cents; Dec 15 MGEX Wheat closed at $5.11, up 3/4 cent. For the week that puts Chicago wheat up 1 3/4 cents, with Kansas wheat unchanged and the Minneapolis market down 1/2 a cent. 18/09/15 -- EU grains closed mostly lower on the day, although Paris milling wheat managed a few small gains thanks to a partial success in the latest Egyptian tender. At the close, Nov 15 London wheat was down GBP0.05/tonne to GBP110.45/tonne. In Paris, Dec 15 wheat rose EUR0.25/tonne to EUR167.25/tonne, Nov 15 corn finished EUR0.75/tonne lower at EUR161.75/tonne and Nov 15 rapeseed ended down EUR3.50/tonne at EUR359.50/tonne. For the week that puts London wheat GBP1.55/tonne lower, with Paris wheat unchanged, corn down EUR3.25/tonne and rapeseed EUR3.75/tonne easier. Egypt's GASC were back in the market tendering for wheat today, and finished up buying a 230,000 MT mixture of Ukraine, Russian and French origin material. The prices paid were quite diverse: $174.95/tonne for Ukraine origin; $182.80/tonne and $183.95/tonne for Russian origin: $177.74/tonne for French origin. When freight is added on the Ukraine wheat cost $188.40/tonne C&F versus $192.50/tonne for the Russian wheat and $193.37/tonne for the French material. So, whilst French wheat did significantly undercut Russian product on an FOB basis, it was still a little more expensive when the more expensive freight was included. That won't necessarily always be the case into other destinations in North Africa though, like Algeria who are expected to need to import 7.7 MMT of wheat this season, according to the USDA's FAS. That provided the French market with a little boost today, although it also remains a fact that Ukraine origin was still significantly cheaper than both Russian and French material. EU sales picked up a bit this past week, with Brussels issuing 525 TMT worth of soft wheat export licences, a 48% increase on last week's albeit modest total. Even so the cumulative season to date volume released is still only 4.2 MMT, which is 27.6% down on last year. The USDA currently forecast EU-28 all wheat exports in 2015/16 to only lag last season's record volume by just 8%, so some significant improvement is needed here to get close to their estimated 32.5 MMT. Barley exports are however flying along, with 453 TMT worth of export licences granted this week, the season to date total is an impressive 3.2 MMT - up 77.8% on this time last year. The USDA currently has these down to fall 26% in 2015/16. Indeed, by next week we should be halfway to achieving the USDA's forecast of 7.0 MMT for the season. 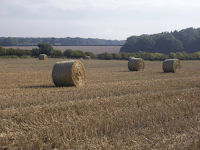 At home, the HGCA said that the UK wheat harvest had sped to 90% complete as of Tuesday night, up 20 points in a week. 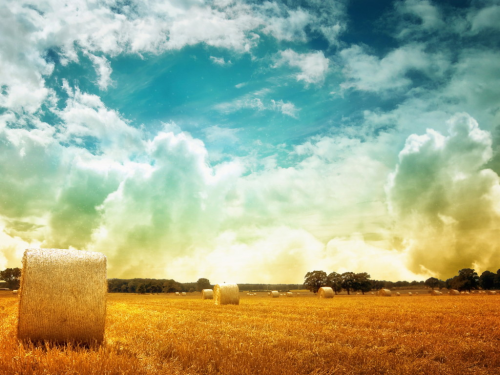 "Improved weather over the last week allowed increased opportunities for farmers to harvest any remaining wheat crops in the south and allowed improved progress further north. Rate of harvest was higher than in recent weeks, with an estimated 350,000 ha of wheat harvested in the last seven days," they said. They held steady with their average yield forecast of 8.5-8.7 MT/ha, which suggests a final harvest of 15.9-16.3 MMT using their earlier planted area figure of 1.87 million ha. Some still think that this area estimate may have been a bit on the low side, and that yields could end up right at the top end of the scale, pushing final production up to around 16.5 MMT. The UK spring barley crop is now 70% harvested, also up 20 points on the week, with average yields pegged at 5.9-6.1 MT/ha, up a little on the 5.8-6.0 MT/ha estimated a week ago. Oats are 90% done, winter OSR is 99% complete and half of the UK spring OSR crop has now been harvested, they said. Yields of all these crops are also well above average, they added. That leaves a lot of grain to both store and sell at some point here in the UK. The best price on offer will be from the domestic consumer, but he's largely well covered through to Christmas. Export homes are there, but they're spoilt for choice with the Black Sea falling over itself to compete with the EU. Wheat and barley out of the Baltic countries is also offered very competitively. Back across the Channel, FranceAgriMer said that the corn harvest there is 1% complete nationally, with the Rhone Alps region the furthest advanced at 7% complete. A start has also been made in the Alsace and Centre regions (both 2% complete) and Aquitaine (1% done). They cut the proportion of the crop rated good to very good by 1 point from a week ago to 55%, some 31 points lower than this time last year. They have 21% of the crop rated poor to very poor versus only 3% this time last year. Some of that will probably end up just being cut for silage. 17/09/15 -- Soycomplex: Beans closed mostly a little lower and within touching distance of the recent multi-year lows. The Fed made no change to US interest rates this time round. 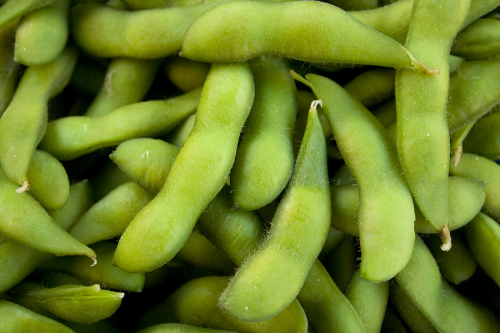 The USDA announced 298,000 MT of US soybeans sold to China for 2015/16 shipment under the daily reporting system. They also reported weekly export sales of 912,000 MT for 2015/16 which were primarily for China (458,500 MT) and unknown destinations (210,600 MT). Meal sales came in at 41,000 MT for 2014/15 and 198,500 MT for 2015/16. Trade estimates had been for bean sales of 900 TMT to 1.3 MMT and meal sales of 100-200 TMT. China's Shanghai Composite Index closed down 2.1% today. Media reports say that Cargill Investment in China say that the country's 2015/16 soybean imports may fall for the first time in 10 years. The USDA currently have them down to rise 2 MMT to 79 MMT. The Argentina Ag Ministry estimated the nation's 2014/15 soybean crop at 61.4 MMT versus the USDA's 60.8 MMT. MDA CropCast have production in Argentina in 2014/15 at 60.45 MMT, but raised their view for 2015/16 by 0.52 MMT to 61.4 MMT. They trimmed 0.72 MMT off Brazil's 2015/16 soybean crop, taking that down to a still record 97.58 MMT. The USDA are at 97 MMT for that, although some estimates are above 100 MMT. MDA CropCast also raised their forecast for this year's US soybean crop by 49 million bushels to 3.826 million (or up 1.34 MMT to 104.13 MMT). Ukraine said that it's 2015 soybean harvest was 25% complete, along with 35% of the nation's sunflower crop. A Bloomberg survey into trader/analyst sentiment found just one lone bull, along with 12 bears and 9 neutrals on bean prices. Nov 15 Soybeans closed at $8.84 1/2, down 2 3/4 cents; Jan 16 Soybeans closed at $8.88 3/4, down 2 1/4 cents; Oct 15 Soybean Meal closed at $313.20, down $3.10; Oct 15 Soybean Oil closed at 26.67, down 1 point. Wheat: The wheat market closed around 6-7 cents lower. As mentioned before, wheat seems to need a leg up from corn if it is going to rally, and yet again it didn't get one today. Whilst there may be a shortfall in Europe's corn production this year, there certainly isn't one in the case of wheat - or barley come to that. Stategie Grains today raised their forecast for the EU-28 soft wheat crop by 3.5 MMT from a month ago to 147.5 MMT, which is now just 1% below last season's record. They also added 1.6 MMT to Europe's barley crop this year, taking that up to 60.4 MMT, now similar to last season's levels. There are some reports that Australia's 2015/16 wheat crop may also beat early season expectations. Some are suggesting that this could now come in at more than 27.0 MMT. ABARES last estimate was 25.28 MMT and the USDA were at 26.0 MMT last week. MDA CropCast raised their forecast for this year's Russian wheat crop by 2.15 MMT from a week ago to 60.2 MMT. They also added 1.38 MMT to Ukraine's crop taking that up to 25.9 MMT. In addition they increased the world barley crop by 3.5 MMT to 141.9 MMT, with Russia hiked 2.62 MMT to 19.3 MMT and Ukraine up 0.86 MMT to 8.4 MMT. Russia said that it's wheat harvest was now 78.4% complete ate 56.3 MMT. Ukraine said that it's Sep 1 grain stocks were up 16% year-on-year at 27.2 MMT, including 20.3 MMT of wheat. They said that winter plantings of almost exclusively wheat are 15% complete on 1.07 million ha. Russian winter grain plantings, which are also dominated by wheat, are 47.5% done, say the Ag Ministry. Reuters reported that Iran has sufficient wheat stocks to last until March at a record 10 MMT. The USDA's FAS in Algeria estimated the nation's wheat imports in 2015/16 at 7.7 MMT, up from 7.1 MMT in 2014/15. South Korea's NOFI bought 50,000 MT of optional origin feed wheat for March-April shipment. Weekly export sales of 377,500 MT were in line with expectations. The Bloomberg survey mentioned above just the 1 bull, 11 bears and 10 neutrals on wheat. Dec 15 CBOT Wheat closed at $4.81 1/2, down 6 3/4 cents; Dec 15 KCBT Wheat closed at $4.79 1/4, down 7 1/4 cents; Dec 15 MGEX Wheat closed at $5.10 1/4, down 6 1/4 cents. 17/09/15 -- EU grains trade mostly lower, as the world sits and waits to see if America will be first big player to start raising global interest rates. It's 9 years since the Fed last increased interest rates, and they've been stuck at virtually zero since just after Lehman Brothers collapsed in late 2008. At the close Nov 15 London wheat was down GBP1.70/tonne at GBP110.50/tonne, equaling the lowest close on a front month since Jun 23. In Paris, Nov 15 wheat closed EUR1.25/tonne lower at EUR167.00tonne, Nov 15 corn was down EUR2.25/tonne to EUR162.50/tonne and Nov 15 rapeseed was EUR3.75/tonne easier at EUR363.00/tonne. We aren't due to get the Fed's decision until after the US markets close tonight at around 19.00 London time, and an interest rates hike is far from certain. In fact the market is saying that there's about a 32% chance they they will decide to move this month, according to Bloomberg. The "favourite" is December, with a 43.9% chance. If they do decide to increase rates tonight, the that probably increases the chances that the BoE will follow suit here sooner rather than later. That would mean a firmer US dollar in the morning, with the pound also probably gaining versus the euro at least. Back to the grain market fundamentals, Strategie Grains have lowered their forecast for the EU-28 corn crop for the third month in a row today. They now see that at 57.4 MMT, down 2.3 MMT from last month and 24% below last year's record harvest. That's no giant shock, although their figure is now 0.6 MMT lower than the one released by the USDA last Friday. It's a different story for wheat and barley though. The French analysts now see the EU-28 soft wheat crop at 147.5 MMT, up 3.5 MMT from last month and now only 1% below last season's record harvest. EU-28 soft wheat exports were raised 0.2 MMT to 26.8 MMT, which is 13% down on the 2014/15 record. World soft wheat trade was raised 3 MMT from their last report to 132.3 MMT, which is 1.5 MMT lower than last season. They also increased their outlook on the EU-28 barley crop by 1.6 MMT from a month ago to 60.4 MMT, now essentially unchanged with a year ago. The trade is starting to believe that both Russia and Ukraine have defied the odds and come up with another bumper, and possibly even record grain crop this year. MDA CropCast today raised their estimates for this year's Russian wheat and barley harvests by 2.15 MMT and 2.62 MMT respectively. They now see the 2015 Russian wheat crop at 60.2 MMT, and have barley output at 19.3 MMT. In Ukraine, they've increased this year's wheat crop by 1.38 MMT to 25.9 MMT, and upped barley by 0.86 MMT to 8.4 MMT. The Russians themselves say that this year's wheat harvest is now 78.4% complete on 21.1 million ha producing a crop of 56.3 MMT so far. SovEcon predict final output at 61 MMT, which is in line with what the USDA raised their estimate to on Friday. The issue of "will they, won't they" with regards to the current Russian export tax on wheat continues. It seems likely that the government will raise the ceiling at which the other than token RUB50/tonne duty kicks in from the existing RUB11,000/tonne (around USD167/tonne at current exchange rates) at some point, but the mechanism currently in place is a complicated one. The tax is levied on the value of the goods when they are shipped, not when they are sold, making a simple currency hedge impossible. Whether that part of the system changes remains to be seen. Rusagrotrans today estimated Russia's September grain exports at 3.5 MMT, including 2.85 MMT of wheat. That's considerably less than the record 4.7 MMT of grain likely to get exported this month that the Russian Grain Union leader predicted just yesterday. With the UK wheat harvest now winding down, domestic stores are groaning under the sheer volume kicking around. The situation is exacerbated by the unusually large amount of carryover left from the 2014 harvest. 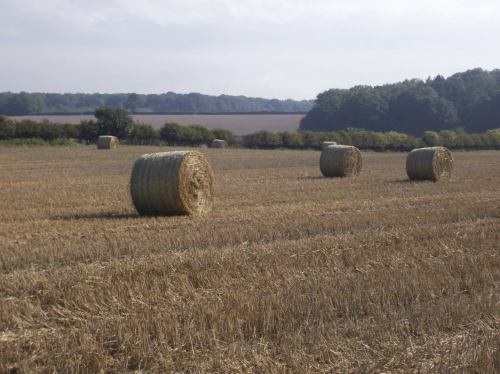 Most farmers are delighted with the yields they've achieved this year, and in many of cases it's being whispered that these have achieved record levels for wheat, barley AND rapeseed on some farms. Merchants needing to sell must price their product accordingly, with feed wheat reportedly trading at just GBP106/tonne FOB the East Coast for October shipment in the last couple of days. 16/09/15 -- Soycomplex: Beans closed with little change. The USDA reported 184,500 MT of US beans sold to China for 2015/16 delivery. A Chinese trade delegation is coming to the US next week, and is expected to sign deals to buy “several million” tonnes of US soybeans in a showcase deal similar to one done last year. CNGOIC estimated China’s total 2015/16 soybean imports at 78.0 MMT and said that 27.0 MMT of that will likely be of US origin. The FSA reported US "prevent plant" acres at 2.22 million, up a little from their August estimate of 2.17 million. Indonesia and Morocco are said to have bought Argentine soymeal for October shipment. Vietnam is said to be in the market for soymeal for May shipment. Ukraine's winter rapeseed plantings are well behind schedule with only 61% of the crop sown so far. The ideal planting time is now over, meaning that anything sown now has an increased winter-kill risk. The forecast there remains largely warm and dry for the next 15 days apart from maybe a chance of rain in the far west. EU soybean processing in August was 1.167 MMT versus 970,000 MT a year ago. The rapeseed crush was down at 1.856 MMT versus 2.03 MMT a year ago. Trade estimates for tomorrow's weekly export sales report are around 900 TMT to 1.3 MMT for beans and 100-200 TMT for meal. Nov 15 Soybeans closed at $8.87 1/4, down 1 3/4 cents; Jan 16 Soybeans closed at $8.91, down 1 1/4 cents; Oct 15 Soybean Meal closed at $316.30, down $2.30; Oct 15 Soybean Oil closed at 26.68, up 21 points. Corn: The market closed around 4 cents lower. The FSA pegged US "prevent plant" corn acres at 2.35 million versus their August estimate of 2.30 million. That wasn't as large an increase as the trade was expecting. The total US corn planted area, including failed acres, was now placed at 84.28 million acres versus the August estimate of 83.147 million. The US Grains Council said a Taiwanese trade delegation is expected to sign a letter of intent this week to buy 5.0 MMT of corn from the US. Mexico are also said to be in the market for corn. India estimated their summer corn crop at 15.51 MMT. Russia said that it's 2015 corn harvest was 14.4% complete on 402k ha producing a crop of 2.0 MMT to date. Yields are averaging 5.01 MT/ha, up marginally on 4.97 MT/ha a year ago and consistent with the USDA's forecast for the season. That isn't the case in Ukraine though where early yields are only averaging 4.21 MT/ha versus the USDA's final season estimate of 6.59 MT/ha. Only 3% of the Ukraine crop has been harvested so far however. The US Energy Dept reported weekly US ethanol production was up 3,000 barrels/day to 961,000 bpd last week, which is 30,000 bpd more than the same week in 2014. Ethanol stocks are at a 2015 low of 18.3 million barrels. Weekly corn export sales due out tomorrow are expected to come in at around 400-600 TMT. Dec 15 Corn closed at $3.86, down 4 1/2 cents; Mar 16 Corn closed at $3.97 1/4, down 4 1/2 cents. Wheat: The market closed around 4-6 cents lower across the three exchanges. Wheat seems unable to mount a serious rally without help from corn. It didn't get that assistance today. The FSA increased the number of "prevent plant" US wheat acres by less than 3,000 from the August report. The total US all wheat area is now estimated at 52.22 million acres versus the August estimate of 51.73 million. Competition from Europe and the Black Sea remains fierce. The president of the Russian Grain Union said that the country might export a record 4.7 MMT of grain this month, and predicted total 2015/16 exports at an all time high 35 MMT. Ukraine is also expected to export a record grain volume of around 36.4 MMT this season. The Russian wheat harvest is said to be 77.6% done producing a crop of 56.2 MMT to date, although there's some suggestion that growers there are being pressured into over-declaring their production numbers. South Korea's FLC bought 60,000 MT of optional origin feed wheat for March shipment. South Korea's NOFI are tendering for 130,000 MT of optional origin feed wheat for March–April shipment. Jordan bought 50,000 MT of optional origin feed barley for December shipment. Brazilian Meteorologist Somar said Brazil’s wheat losses from frost last Friday/Saturday were significant. Trade estimates for tomorrow's weekly export sales report are around 275-450 TMT. Dec 15 CBOT Wheat closed at $4.88 1/4, down 6 1/2 cents; Dec 15 KCBT Wheat closed at $4.86 1/2, down 6 cents; Dec 15 MGEX Wheat closed at $5.16 1/2, down 4 cents. 16/09/15 -- EU grains closed mostly lower with Nov 15 London wheat down GBP1.30/tonne at GBP112.20/tonne, Dec 15 Paris wheat down EUR1.25/tonne at EUR168.25/tonne, Nov 15 Paris corn was EUR2.50/tonne lower at EUR164.25/tonne, whilst Nov 15 Paris rapeseed was EUR0.75/tonne easier at EUR366.75/tonne. The President of the Russian Grain Union said that the country had exported more than 1 MMT of grain between Sep 3-9, almost all of which was wheat (934 TMT). That means that the country could export a record 4.7 MMT of grains this month, he said. Total grain exports for the season could also break previous all-time highs at around 35 MMT, helped by large carryover stocks from last season when foreign sales declined after the government brought in an export duty. The official government harvest estimate of 103 MMT may be too high though, he said, suggesting a crop of around 100 MMT. Russian officials are "pressuring" farmers into over-reporting this year's results, he says. Usually Russian growers under-state their harvest and over-state plantings. In addition, a further 6-7% will need to be taken off final harvest estimates, which are given in bunker weight, to cover cleaning and screening, he added. The Russian Ag Ministry say that this year's harvest is 72.4% complete on 34 million ha, producing a crop of 84.4 MMT to date. Yields are said to be down 6% versus last year. Wheat accounts for 56.2 MMT of that total off 77.6% of the planted area, with average yields down by 8.8% at 2.69 MT/ha, according to Ministry data. That suggests a wheat area of 26.9 million ha. The USDA themselves have plantings at only 25.7 million ha. The USDA also only have final yields this year down by 5.2%, so if a fall of 8.8% comes with yields being over-stated then maybe something double that currently being forecast by the USDA is closer to reality? We will probably never know, or at least this won't become clearer until much later on in the season. Ukraine meanwhile said that they'd harvested 38.1 MMT of grains so far this season off 72% of the planned area. The wheat and barley harvests are over. The corn harvest is just getting going at 3% complete on 139k ha producing a crop of 584 TMT to date. Early yields so far are averaging only 4.21 MT/ha. The USDA see total final yields coming in much higher than that at 6.59 MT/ha. Winter grain plantings in Ukraine are said to be 8% complete, whilst only 61% of the intended winter OSR area has so far been sown - and the optimum planting window for that is already closed! Winter plantings in Russia incidentally are 46% complete on 7.9 million ha versus 8.4 million ha this time last year. 15/09/15 -- Soycomplex: Beans closed around 5 cents higher. The NOPA crush for August came in at 135.3 million bushels, slightly higher than the average trade guess of 135 million. That was down from 145.2 million bushels in July, but up 22% from the 110.6 million bushels crushed a year ago and the largest August crush in eight years. Brazil's soybean planting season is now upon us, although Oil World said that dry weather may delay things a little. Dr Cordonnier estimates plantings up almost 3.5% at 33 million ha, with production rising from 96.2 MMT to a new record 99 MMT. In Argentina he sees the soybean planted area rising from 20.5 million ha to 20.9 million, but had production around unchanged at 60 MMT as last year's record yields are unlikely to be achieved again, he suggests. The total South American soybean crop is estimated at 174.3 MMT versus 170.7 MMT in 2014/15. Brazil’s IBGE said that they expect the country's 2015/16 soybean planted area to be up 5.8% from a year ago. Oil World estimated Brazil’s Sept soybean exports at 4.0 MMT versus 2.7 MMT a year ago. They see Brazil’s Jan/Sep soybean exports at a record 50.0 MMT, up almost 12% versus 44.7 MMT a year ago. Argentina said that growers there are 62.5% sold on their 2014/15 soybeans versus 57.25 a year ago. Dr Cordonnier estimated US 2015 soybean yields at 46.0 bu/acre, unchanged from his previous estimate and 1.1 bu/acre lower than the USDA. Nov 15 Soybeans closed at $8.89, up 4 3/4 cents; Jan 16 Soybeans closed at $8.92 1/4, up 4 3/4 cents; Oct 15 Soybean Meal closed at $318.60, up $4.30; Oct 15 Soybean Oil closed at 26.47, down 46 points. Corn: The corn market closed around 3 cents lower, giving up some of yesterday's gains. The trade was maybe a bit disappointed/surprised to see the USDA leave condition ratings unchanged in last night's crop progress report. A drop of one or two points in the good to excellent category is what was generally expected. As well as the US harvest potential, thoughts are also turning to South American plantings. Dr Cordonnier forecast Brazilian corn plantings around unchanged, or slightly higher, than last year's 15.7 million ha. Production may come in equal or a bit lower than last year's 84.7 MMT, he said. In Argentina he sees corn for grain plantings down 12.5% at 2.8 million ha, with production dropping 15% from 25.5 MMT to 21.6 MMT. The total South American 2015/16 corn crop may total 110.2 MMT, down 3.3% from 114 MMT a year earlier, he suggests. 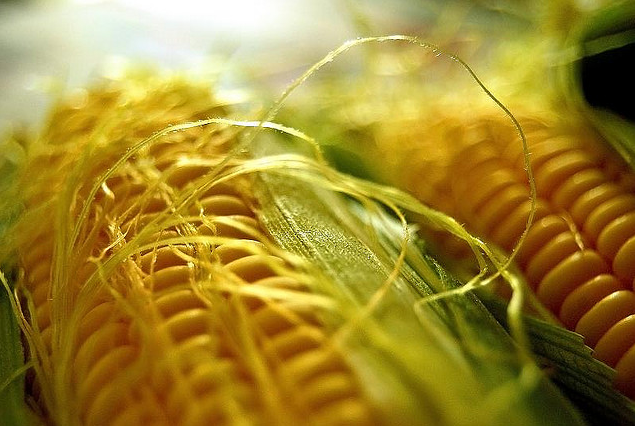 IMEA said that they expect Mato Grosso’s 2015/16 safrinha corn acreage to increase by 2.7%. DERAL estimated Parana safrinha 2014/15 corn crop at 11.1 MMT up 7.8% from a year ago. They said that the harvesting of that is 96% complete. The Argentine Ag Ministry said that growers there are almost 70% sold on their 2014/15 corn crop, marginally higher than this time last year. Concerns about China’s economy continue with the stock market there down 3.5% today. The US Grains Council estimated the 2015/16 Indian corn crop at 13.8 MMT, down more than 16% versus the 2014/15 crop of 16.5 MMT due to dryness. Russia said that it's 2015 corn harvest was 13.6% complete on 380k ha producing a crop of 1.9 MMT to date. Yields are averaging 4.98 MT/ha, down marginally on 5.01 MT/ha a year ago. The USDA have final Russian yields at 5.0 MT/ha this year. Dec 15 Corn closed at $3.90 1/2, down 3 cents; Mar 16 Corn closed at $4.01 3/4, also down 3 cents. Wheat: The wheat market closed lower in mini Turnaround Tuesday trade. "Wheat simply doesn’t have a story at this time to sustain a rally on its own. It had big gains on Monday, but couldn’t hold those levels today amid weakness in corn and strength in the dollar," said Arlan Suderman of Water Street Solutions. The northern hemisphere harvest is winding down, seemingly without too many problems anywhere really. Talk early in the year of the potential for sharply lower output in Russia and Ukraine due to heavily reduced inputs doesn't appear to have materialised. The wheat harvest in Ukraine is over and has come in at a better than expected total of around 27 MMT. In Russia the Ag Ministry say that wheat harvesting is 76.6% complete on 20.6 million ha for a crop of 55.7 MMT to date. Final output should therefore be around 60 MMT, or maybe a bit more. Russian shippers are said to be attempting to defer existing wheat sales, and hold off making too many new ones, ahead of anticipated preferential changes to the current export duty on wheat. As and when these changes are made, then exports (currently down 22.5% year-on-year) could pick up markedly. Ukraine meanwhile remain their usual aggressive early season seller, and France have a huge record wheat crop that they are struggling to store to place onto the market as well. Any sign of dollar strength is therefore a potential problem for US wheat sales. This week's Fed meeting will thus be closely watched. As mentioned yesterday the USDA currently forecast US wheat exports rising 10% year-on-year in 2015/16, yet current sales lag year ago levels by 20%. Jordan are reported to have bought 100,000 MT of hard wheat from the Black Sea region for Nov shipment. Japan are in the market for their regular 138,855 MT combo of US, Canadian and Australian wheat for Oct-Nov shipment. Dec 15 CBOT Wheat closed at $4.94 3/4, down 6 1/2 cents; Dec 15 KCBT Wheat closed at $4.94 1/2, down 1 3/4 cents; Dec 15 MGEX Wheat closed at $5.20 1/2, down 4 1/4 cents. 15/09/15 -- EU grains closed mostly lower, giving up some, but not all, of Monday's gains in a mini Turnaround Tuesday trading session. At the close, Nov 15 London wheat was down GBP0.10/tonne to GBP113.50/tonne. In Paris, Dec 15 wheat was down EUR1.25/tonne to EUR169.50/tonne, Nov 15 corn finished EUR0.50/tonne lower at EUR167.25/tonne and Nov 15 rapeseed ended up EUR1.25/tonne to EUR367.50/tonne. In a bit of creative journalism the HGCA reported that Ukraine's 2016 rapeseed crop "could be as low as 1 MMT" quoting UkrAgroConsult, although the actual estimate given by the latter organisation was 1.0-1.5 MMT. Production this year was 1.7 MMT, down from 2.2 MMT in 2014 and 2.3 MMT in 2013. Rains of only 40% of normal mean that "soil moisture has been low and the optimal planting window for the crop has been missed," said the HGCA. Any of the crop planted now carries an increased risk of winter-kill, they added. Planting of winter OSR had only been completed on 409k ha as of Sep 9, the slowest pace since 2007 and down 39% versus what had been sown by the same date a year ago. The Russian Ag Ministry said that the country's 2015 grain harvest was 71.6% complete on 33.6 million ha producing a crop of 83.6 MMT to date. Wheat accounts for 55.7 MMT of that total off 76.6% of the planted area, with yields down 9.7% on a year ago at 2.71 MT/ha. Interestingly the USDA estimate final Russian wheat yields this year to be only 5.2% down on a year ago, and the bulk of what's left to be harvested is in lower yielding areas. Even more striking is the data on Russian barley harvesting. That's said to be 78.3% complete by the Ag Ministry, producing a crop of 16.1 MMT to date, with average yields down 6.1% at 2.3 MT/ha. The USDA forecast final Russian barley yields up 7.5% year-on-year at 2.44 MT/ha, and again it's the lower yielding regions that have the bulk of the harvest left to go. The Russian corn harvest is said to be 13.6% complete on 380k ha for a crop of 1.9 MMT so far. Russia’s Grain Union estimated their 2015 total grain crop at 100.0 MMT versus the official Ag Ministry estimate of 103.0 MMT. Russian growers have also now seeded 7.4 million ha, or 43% of the government target, with winter plantings for the 2016 harvest. Anecdotal reports suggest that Russian exporters are holding back on shipments of wheat, hoping and expecting the export duty on that to be lower in the coming weeks. Concerns remain over the state of the Chinese economy. The Shanghai Composite Index closed down 3.5% today. The pound was lower following news that UK inflation fell back to zero in August from a lofty 0.1% in July, pushing back ideas of an interest rate rise, All eyes now are on the US Federal Reserve tomorrow. 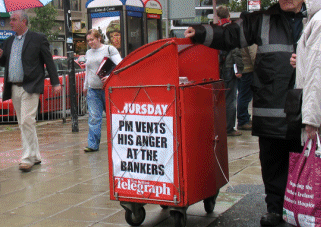 15/09/15 -- It's only September, but the media just LOVE a good weather story don't they? Especially when things are a bit quiet. MrsN#3 excitedly pointed out "Britain braced for long, snowy winter as strongest El Nino since 1950 expected" to me on the Daily Bellylaugh website today. Then halfway down the report it says that winters in Europe can often be "much colder and drier" than normal. Snow is moisture isn't it, so "drier" equals less snow surely? The Met Office meanwhile are telling us that 2015 and 2016 will go down in history as the hottest ever (see badly worded story here). Which immediately makes you think "make your bloody minds up" doesn't it, although the latter story does bring with it the caveat of essentially "everywhere else except where you live" in the case of those of us here in dear old Blighty. So there we have it. Almost. But finally, just a thought: Now that Jeremy Corbyn has been elected as leader of the Labour Party, and appointed Tom Watson as his deputy, does that mean that the opposition is run by Tom & Jerry? Chicago Grains Close Mostly Higher, Are The Lows In? 14/09/15 -- Soycomplex: Beans closed mostly higher, although expiring Sep 15 was down 5 cents as it went off the board. Weekly export inspections of 370,901 MT were fairly decent for the time of year. The USDA cut soybean good to excellent ratings by 2 points to 61% which is 11 points behind where they were last year at this time. They said that 35% of the crop is dropping leaves, 4 points ahead of the 5-year average and up from 19% a week ago. The trade was expecting 62% good to excellent and 29% dropping leaves. A Bloomberg survey into trader/analyst sentiment from Friday reported 5 bulls, 13 bears and 6 neutrals on beans, Friday's USDA report was bearish for beans, but the market reversed early losses to closed higher then, and followed through today. That might prompt some to believe that the lows are in, although the seasonal chart would suggest that there's a couple of weeks to go yet before that traditionally happens. With the Brazilian real weak versus the US dollar, any rallies now will only encourage increased soybean plantings there. The market is already expecting a 2-3% increased in planted area, with some private estimates suggesting 2015/16 Brazilian production around the 102 MMT mark. They are expected to begin planting in Mato Grosso late this week or early next week. If the Fed decide to raise US interest rates on Wednesday then we could see a further push to the downside yet as the US dollar firms. Sep 15 Soybeans closed at $8.82 3/4, down 5 cents; Nov 15 Soybeans closed at $8.84 1/4, up 10 cents; Sep 15 Soybean Meal closed at $312.70, down $1.40; Sep 15 Soybean Oil closed at 26.89, up 31 points. Corn: The corn market closed around 5-6 cents higher. Friday's USDA report was a bit, but not hugely so, friendly for corn, lowering yields and both old and new crop US stocks. The market is convinced that further yield reductions, and hence lower new crop stocks, are to come. The USDA left corn crop ratings unchanged from a week ago at 68% good to excellent. The trade was expecting a one point decline. They also said that 87% of the crop is dented, one point ahead of the 5-year average, that 35% of the crop is mature (5 points behind the average) and that 5% of the crop is now harvested versus 9% on average. Harvest progress is most advanced in North Carolina (57% done versus 58% normally) and Texas (53% versus 58% typically). Cepea estimated Brazil’s September corn exports at 3.5 MMT, which would be their highest monthly volume since November 2013. Agritel said that Friday's USDA forecast for a Ukraine corn crop of 27 MMT this year is too high and that 23-25 MMT is closer to reality. Still, they expect that Ukraine could still provide more than half of Europe's 16 MMT worth of corn import needs in 2015/16. 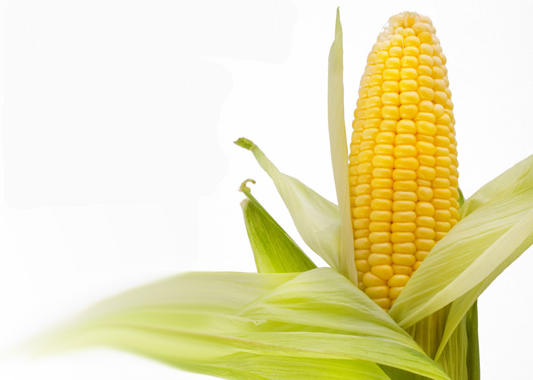 APK Inform said that Ukraine seaports exported 66,400 MT of corn last week. Russian seaports shipped out 29,500 MT. AgroInfoMarket said that Spain's 2015 corn crop will total 4.01 MMT versus 4.47 MMT a year ago. They see the country importing 6.25 MMT of corn in 2015/16 versus 5.95 MMT last season, with ending stocks falling from 958 TMT to 673 TMT. Weekly US export inspections of 711,178 MT were down over 21% on last week. Any US dollar upside remains a threat to exports. As with beans, the seasonal charts say that traditionally the corn market puts in its lows in early October. Sep 15 Corn closed at $3.79, up 4 1/2 cents; Dec 15 Corn closed at $3.93 1/2, up 6 1/2 cents. Wheat: The wheat market closed with strong double digit gains. Weekly export inspections of 647,551 MT were up sharply on 371,343 MT a week ago. They were also the highest of the marketing year so far. Nevertheless, the cumulative total for the season so far is still 20% down on where things were a year ago. The USDA currently forecasts US all wheat exports rising 10% this season versus 2014/15 so some progress needs to be made to get anywhere near that total. As with the other grains the market will be anxious to see what the Fed does on Wednesday. A newly resurgent US dollar, should they raise interest rates, isn't going to help US wheat exports any. The USDA reported that the US spring wheat harvest is 97% complete versus 86% done typically at this time. US winter wheat plantings for the 2016 harvest are 9% done which is in line with the 5-year average. US Wheat Associates said that the quality of this year's US HRS wheat crop is better than last year. ABARES estimated 2015/16 global wheat production at 723.0 MMT versus a previous estimate of 715.0 MMT. That's still nowhere near as high as the USDA's 731.6 MMT estimate released Friday though. ABARES see Australian 2015/16 wheat exports at 17.5 MMT, up from a previous estimate of 16.5 MMT and versus 2014/15 wheat exports of 16.6 MMT. The USDA have these at 18 MMT. Bangladesh cancelled a tender to buy 50,000 MT of optional origin wheat. There are reports that frost in southern Brazil could have caused some damage to the wheat crop there over the weekend. The CWB said that Canada's wheat exports so far this season are down 15% on a year ago at 1.9 MMT. Russia indicated that it is ready to raise the price it pays for intervention grain "significantly" but that it is also likely to soon lower the export duty on wheat. Sep 15 CBOT Wheat closed at $4.85 3/4, up 10 1/4 cents; Sep 15 KCBT Wheat closed at $4.70 3/4, up 11 3/4 cents; Sep 15 MGEX Wheat closed at $5.09 3/4, up 22 cents. 14/09/15 -- EU grains traded higher to start the week in spill-over support from slightly lower than expected US corn yields and stocks estimates than the market expected from the USDA on Friday. The fact that the USDA also wiped 4.3 MMT off their EU-28 corn production estimate also leans supportive. Although they left corn output in Ukraine unchanged at 27 MMT, most pundits think that this is too high, and that output this year will probably more like 23-25 MMT. Nevertheless, Ukraine might still be able to supply Europe with more than half it's forecast 16 MMT worth of corn import needs in 2015/16, said Agritel. APK Inform reported that Ukraine seaports had exported 629.3 MMT of grains last week, down 22% from the previous week. That included 451.4 TMT of wheat, 66.4 TMT of corn and 111.5 TMT of barley. Exports of corn have now slowed right up waiting for the 2015 harvest to get going in earnest. As mentioned on Friday, it's worth noting that average corn yields in Ukraine were left unchanged from a month ago by the USDA at 6.59 MT/ha. With admittedly only a very small area cut so far, the Ukraine Ag Ministry say that these are currently only averaging a little over 4 MT/ha, so this certainly wants monitoring as the harvest progresses. Russian seaports meanwhile only exported 393.1 TMT of grains last week, down nearly 42% on 672.7 MMT the previous week. That included 329.8 TMT of wheat, 29.5 TMT of corn and 27.5 TMT of barley. There are plans afoot to change the current export duty on wheat. It would seem that exporters are holding back a little until the government clarify exactly what the new system is likely to be. They've already said that changes, not an outright cancellation of the tax, is what is on the cards. They have also said that they expect to soon make "significant" increases to the prices on offer for the government intervention programme. Russia's 2015/16 exports so far (to Sep 9) total 6.79 MMT, a 22.5% decline compared to the same period a year ago (8.75 MMT). This season's exports consist of 5.28 MMT of wheat, 1.26 MMT of barley and 2.01 MMT of corn. Spanish analysts AgroInfoMarket forecast the 2015 soft wheat crop there at 5.22 MMT, a 6.6% drop on a year ago. Despite the fall they see soft wheat imports declining 9.3% to 3.88 MMT, which means 2015/16 ending stocks will tumble 29.2% to 598 TMT. Spanish barley production this year was little changed at 6.77 MMT, whilst corn output will be down 10.3% to 4.01 MMT, they added.